Last week, we talked about how the worship plan can drive so much of what you do from week to week. Planning ahead several components of the worship service, such as presentational music (choir songs, solos, instrumental pieces, etc.) and special features (video, drama, interpretive movement, other arts) require much more preparation—most often eight weeks or more, depending upon what it is. This week, we will look specifically at planning for a choir. Even in contemporary worship styles, choirs can be a great catalyst for worship. Sometimes, the traditional choir needs to be repurposed to a worship-leading choir (see here and here). I look at the plan for the next 8-12 weeks related to sermon topics (if provided), special emphasis, etc. I then select appropriate choir songs to use as presentational music on each Sunday (if the choir sings weekly). I use some already-known songs, if appropriate, as well as introduce new songs I have recently secured (could be from a choral club, a collection, choral periodical, etc.). It is important to give your choir a steady diet of new music. They can become very disengaged if you constantly repeat the old stuff. Seek to stretch them with new styles and new challenges. This way you keep rehearsals fresh and exciting for them. You now have calendared a selected presentational song for each worship service for the next 8 or more weeks to work from. 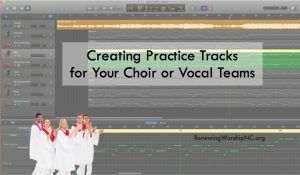 You will find your choir will reach a higher level of excellence if you provide for them rehearsal tracks to use outside of choir rehearsals. The time we have together weekly is precious and limited. Being able to have your choir members working on the choir songs as they drive, work and play greatly increases their learning of the song. This way you can work on more musical things in rehearsal and challenge them to go beyond the norm. I post the rehearsal tracks on the worship leader website (more later) and produce CDs for every voice part to distribute (all with proper licensing). I have a guide to producing practice tracks available here. Your choir will learn far more in rehearsing a song 6 weeks for 10 minutes each than rehearsing 60 minutes in one session. Look at your song schedule and then plan to begin a song 6-8 weeks before the week you will sing it. My goal is that the song only needs to be sung from beginning to end in the rehearsal before the week we do it. The difficulty of the song will dictate how many weeks of work and how much time is devoted to the song each week. Songs the choir has sung before will not need as much rehearsal time. You can work on reaching a higher level of excellence and/or memorizing the familiar song. I usually begin with a time of worship, using the congregational songs for this week, or if a new song is coming soon, begin that a week or two earlier. 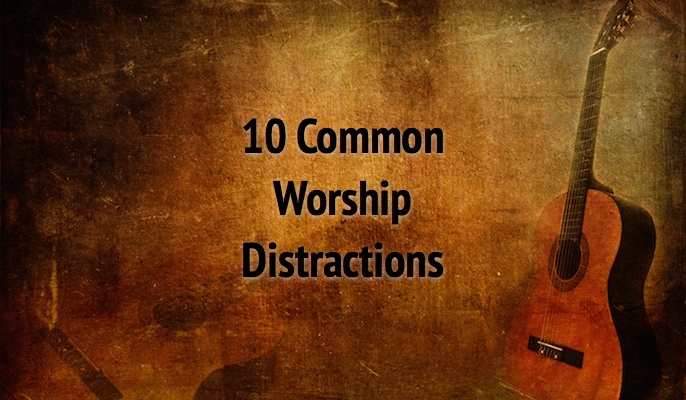 This gives us opportunity to be better prepared to lead the congregation in worship. The choir’s major task is not being a performance group, but a worship-leading team–an army of praise. (SEE THIS). 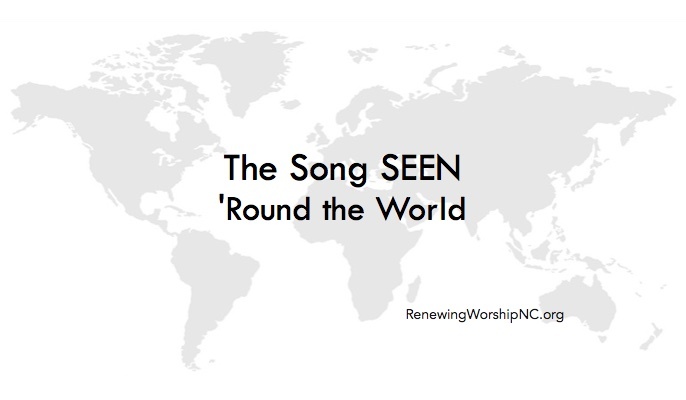 Once we spend time on the congregational songs, I usually have the choir sing through the song coming up this week. If rehearsals have gone as projected, we should not need to spend much time at all on this song. At most, we should need to tweak a couple of spots. It works well to then go to a new song or one that requires some hard work while the people are fresh. Don’t feel like you need to go over the entire song every week. Feel free to just concentrate on one or two sections of the song this week. The next week, you can add another section and review the previous week’s work. Help the choir see patterns such as repeated sections to aid their learning. This is especially helpful in memorization. Rehearsing songs 6-8 weeks ahead creates a feel that every choir practice is important. This eliminates people not coming to the rehearsal before a Sunday they will be away. It also covers those people who could not be at rehearsal before the song is sung in worship. Rehearsal order. I list the congregational and choral songs we will be rehearsing in the order they will be rehearsed. This way people can get their music in order. It’s amazing how much time this saves not having people looking for the song “with the purple cover” in the middle of rehearsal. It also lets your people know you have come with a plan to utilize their time well. I also include the presentation dates beside the anthem title so people can keep up with the date the song will be sung. Congregational song lyrics. The songs we will sing in worship to lead the congregation are printed on this sheet. Please include the copyright information (more information) where applicable. These lyrics are used for rehearsal only. Announcements. Include upcoming special services, extra rehearsals, changes in rehearsal times, etc. If you want to impact your choir and you want your choir to have greatest impact, then communication is a must. I communicate with my choir members by email at least 1-2 times a week. 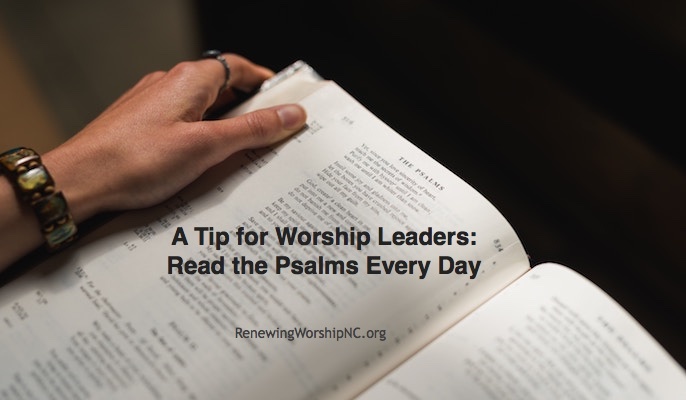 I usually send out an email on Monday or Tuesday, thanking them for their leadership on Sunday, making any appropriate comments about the service, and encouraging them in their calling as worship leaders. I may give a glimpse of the coming Sunday and our mid-week rehearsal. I want the choir to know how much I love and appreciate them. I usually send another email around Thursday or Friday with more information about Sunday and asking them to pray for each other and the services Sunday. I often will point them to the sermon and congregational hymn online preparation site (more later). I want to reach out each week to anyone who missed the choir rehearsal. I let them know they were missed, let them know anything they need to know about Sunday’s service to be better prepared, and find out if their absence was something that I can lift up in prayer (sickness, family crisis, etc.). The choir is a team and when one is absent, the team hurts. I want the members to know how important they are and find out if their is a special need in their lives preventing their attendance. Websites today are so simple to produce and have little cost associated with them. I love utilizing technology to aid our worship leaders in what they do. I have a website just for our church’s worship leaders that I post relevant information, upcoming song YouTube videos, practice tracks (password protected and copyright licensed), upcoming anthem schedule, articles of interest, etc. I communicate with my worship leaders through this site, emails, the church worship prep site (more in a later post), group texts, and through WorshipPlanning.com. What adjustments do you need to make in your choir preparation? Planning the worship service. We will look at everything from sitting down with your pastor and exploring upcoming sermon concepts to choosing appropriate congregational and presentational music. We discuss how to find creative elements to infuse in the service and ways to organize your plan for best implementation. Preparing the choir. Once songs are selected, how do we get the most out of our choirs/vocal teams to prepare them to be amazing worship leaders? How can we help them be successful? We talk about rehearsal planning and implementation, practice tracks, discipleship, and much more. Preparing the band. We will deal with scheduling issues, technologies to assist you, band charts, mp3s, rehearsals, and more. Preparing the media. How can our media enhance the worship service? How do we conceptualize and implement what will show on the screens in our church? Preparing the congregation. This part is so often overlooked. How do we help our congregations personally prepare for our times of corporate worship? This can be a huge benefit for corporate worship when our people are adequately prepared. Preparing personally for worship. 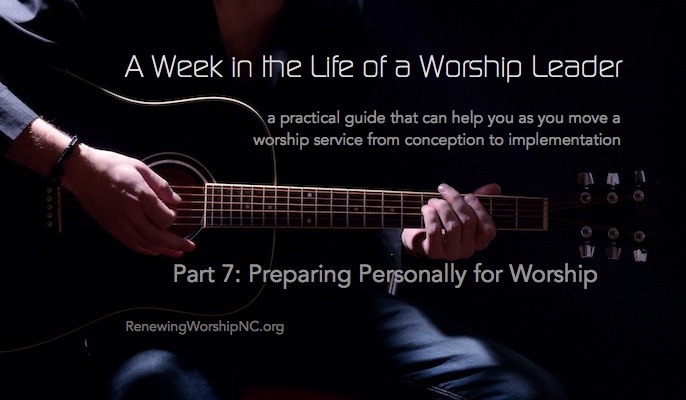 How do you as a worship leader personally prepare for the corporate worship service? This can make a powerful impact on your leadership. Corporate worship! How do we implement all that we have prepared for?